Jake and Tom bought their family home in Bramhall nearly four years ago. Having grown up in the area, Jake used to regularly go past the house and always dreamt about owning it in later life. Fast forward 20 years, Jake got his wish and they've now completely refurbished it from top to bottom, adding their cool and eclectic stamp to each room. They were recommended Real Stone & Tile by their builder who was responsible for renovating the entire property. They required products for the downstairs W/C, family bathroom, en-suite plus flooring in the living area and outside patio space. 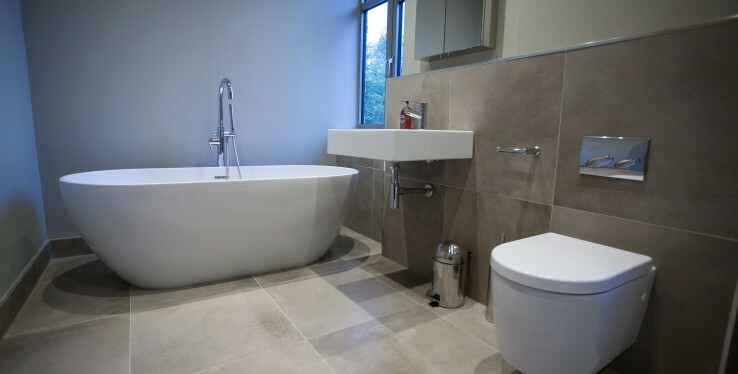 Jake said: "We had a good idea of what we wanted for each room, however, the help and guidance from the Real Stone & Tile team ensured that we chose things that would fit and complement the different spaces. Ordering was really straightforward and delivery was quick and smooth. We're delighted with the finished look and we wouldn't hesitate recommending the company to friends and relatives in the future."